One of my guilty pleasures in life is coffee. I love it, I spend money on it, and I know I have to give it up (especially if I ever want to have baby #3 because pregnancy and caffeine and Robin are just not pretty). So if you do indulge like I do check out a way to make your purchase of all of those bags of Starbucks coffee a little more palatable. 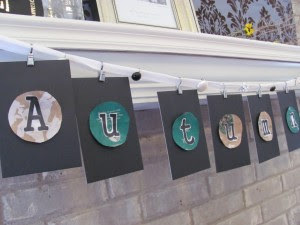 and she turned it into some wonderful bunting over the fireplace. 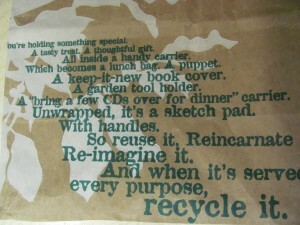 Love it and of course it can be done with any paper bag, not just Starbucks.